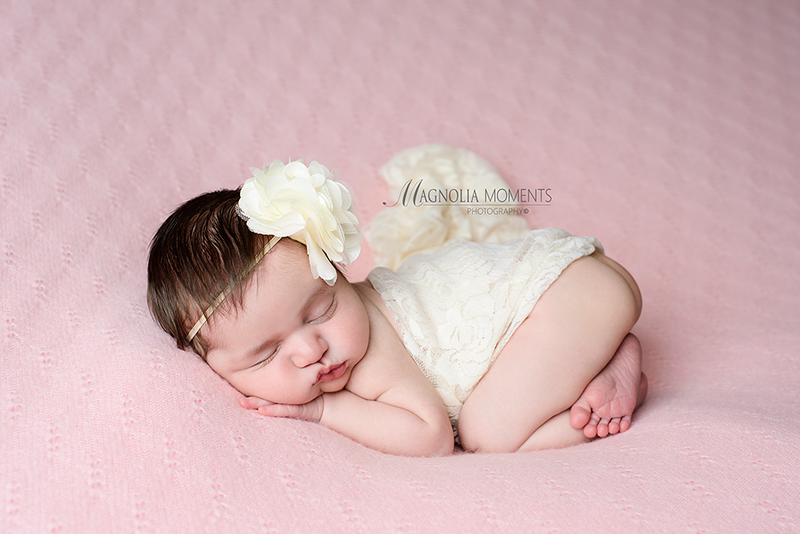 Check out this precious newborn baby girl who visited me in our Collegeville, PA, newborn and baby photography studio for her newborn portraits. 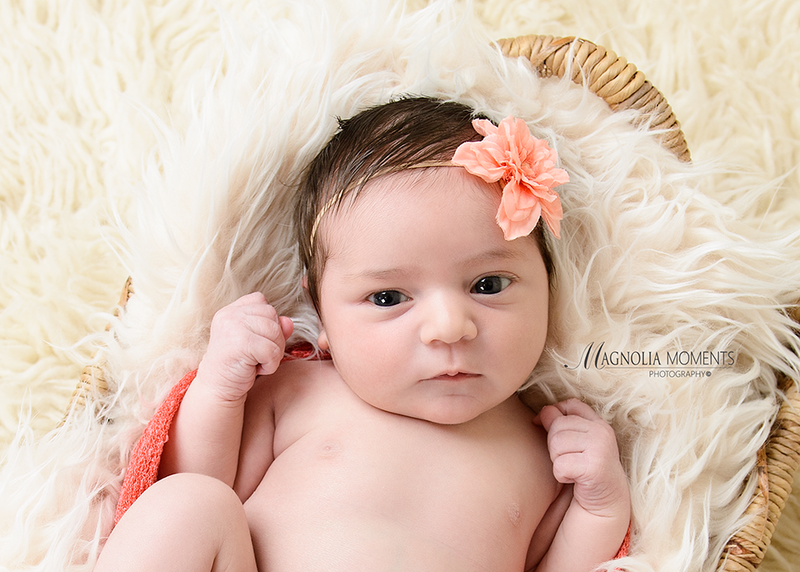 Look at all that HAIR! I love her in pink. 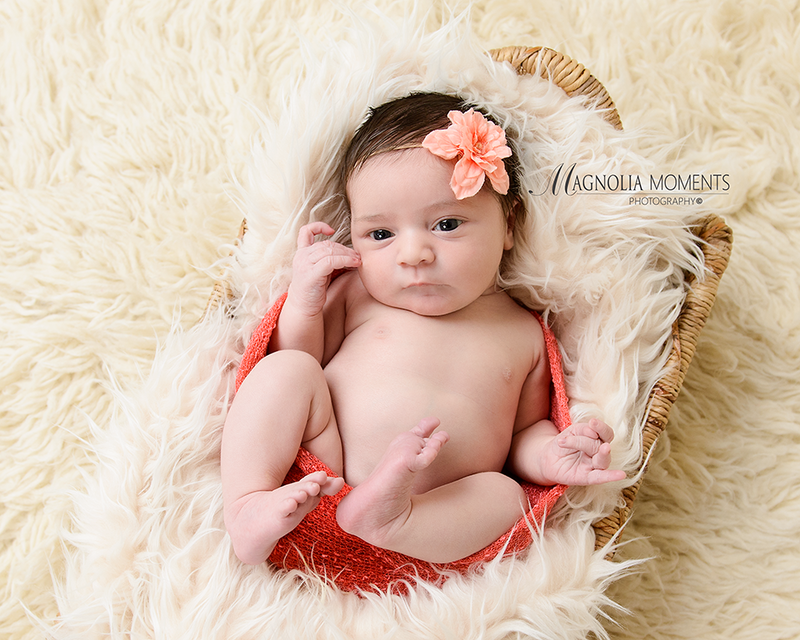 Well, hello there, bright eyes! 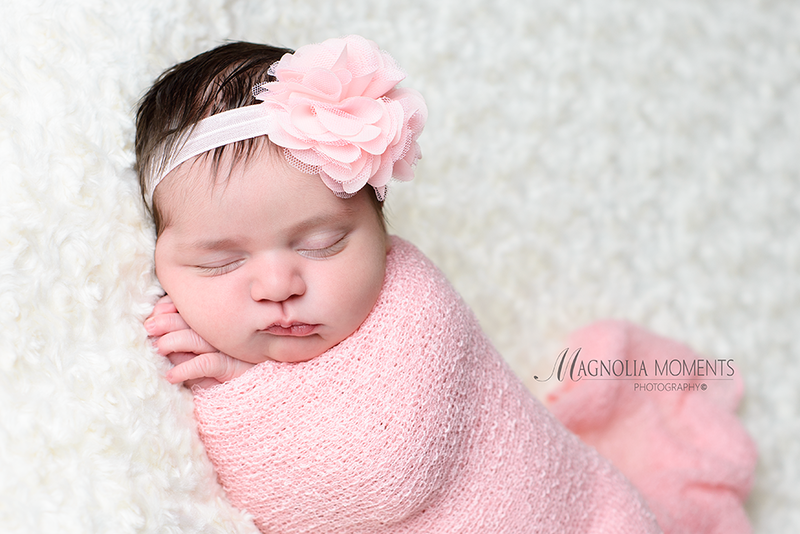 Thank you A Family for choosing Magnolia Moments Photography as your Malvern newborn photographer and spending the morning with me in the studio. 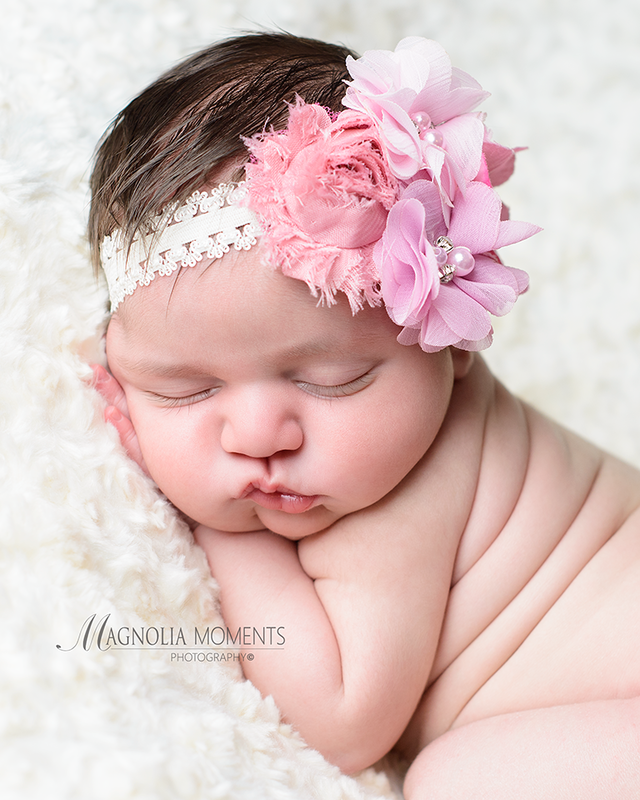 It was such a pleasure meeting you and I absolutely loved photographing your precious daughter.